Hemingway said “There is nothing to writing. All you do is sit down at a typewriter and bleed”. You’d be amazed at how much email marketing is NOT related to writing. So stop procrastinating on email marketing because you think you have to write fancy emails. Top email copywriters like Ben Settle know the real secret to an effective email marketing strategy and have managed to make email their only (6-figure) income source. Below you’re going to read about THE email marketing strategy you should use in order to increase sales to your current list (no matter the size of it, if it contains the right people). When Mercedes asked the legendary copywriter, David Ogilvy, to write ads for them, he sent a team to the Daimler-Benz headquarters in Stuttgart. They spent three weeks interviewing the engineers. These efforts resulted in a campaign that increased Mercedes sales from 10,000 cars to 40,000 cars a year in the US (As Ogilvy himself explains in his book Ogilvy on Advertising).What he did was simply tap into some of the greatest product features that people found interesting and handy. 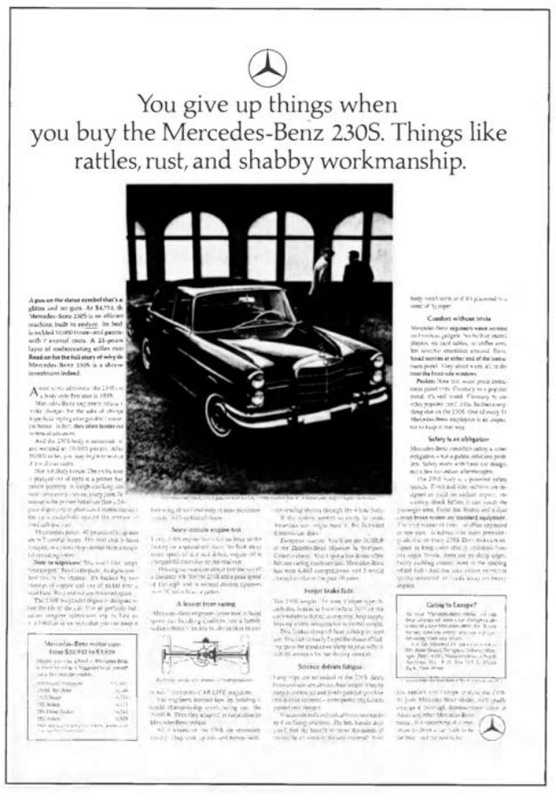 This is the headline and the first paragraph of the copy he used in one of his ads:You give up things when you buy the Mercedes-Benz 230S. Things like rattles, rust, and shabby workmanship. A pox on the status symbol that’s all glitter and no guts. At $4,754, the Mercedes-Benz 230S is an efficient machine, built to endure [original underline]. Its body is welded 10,000 times — and painted with 7 enamel coats. A 24-pound layer of undercoating stifles rust. Read on why the Mercedes-Benz 230S is a shrewd investment indeed. Many of the magic formulas followed in the modern content marketing world are violated here. The name of the product and its features are mentioned up front and the words like “give up” or “buy” that convey a sense of loss are used in the copy. These are the exact copywriting mistakes we try to avoid at any cost. And still, the ad worked well because it was well researched (and the product stood by the ad’s words) and it tapped into what the market considered important and handy. Such is the value of researching the market before writing copy. If you think copy in email marketing is a different material, you couldn’t be more mistaken my friend. Unless you’re too lazy to study your market and product and instead are looking for quick-fix techniques and methods, in which case you’re knowingly wasting your time and money. What to look for when studying the market and the product? And you need to write about the same two things constantly. And of course, you need to position your product as what can make your audience happier or less sad. People’s sentiments about current similar products. You can monitor social media for people’s mentions of a product using social media monitoring tools (e.g. Mention). Also, stay tuned for industry reports and trends (for example, check out these two comprehensive reports on Twitter and Instagram). Your audience’s demographics (age, gender, job, income, etc.) and psychographics (interests, activities, opinions). Surveys and questionnaires can help you a lot here (platforms such as SurveyAnyplace are a blessing here). The way you position your product depends a great deal on your audience. The topics you should write about, your tone, and your references and examples are determined by the psychographic features of your audience (i.e. whether they find it interesting). The key is to use your insights about the market and your audience to write exciting emails. Not just exciting but profitable. Funny videos or stories are exciting to everybody but can you sell using them? (if yes, then go on). `If you want your emails to be exciting and at the same time informative and effective, you need to apply the principles of “infotainment” in your email copies.Ben frequently refers to pop culture (which is exciting) and is a master of connecting his stories with the information about his products.But apart from infotainment, Ben gives away another of his email marketing hacks. He writes “you don’t need to hammer your readers with benefits. Instead, you hammer them with the painful symptoms they’re feeling — or could feel if they don’t find a solution”. He frequently writes about the problems his products solve. He writes interesting stories and memories, connects them with pop culture, research, philosophical advice, etc. His aim is to magnify the extent of the problem people are facing because they’re not using his products. His emails are interesting too. First of all, because people are curious to read and know about their own problems, and second because he has established himself as the one who cares about people’s problems and pains by frequently (i.e. daily) talking about them. It’s not salesy, it’s not boring, and it garners trust with your audience. Tagging your subscribers enables you to segment them into groups with different interests, and send them more exciting yet relevant emails.For example, it might happen that some of your subscribers have bought a particular product you’ve been promoting in your emails and you want to stop sending them the same promotional emails, you set a tag and exclude them from your general recipients.Additionally, you might decide that this new segment of your subscribers, who are your customers now, might be interested in another product you have. This is a great opportunity to start promoting other products to them.So segmenting your email list based on their buying journey using the tagging option enables you to send relevant and timely emails and improve your numbers. Some people on your list are extremely responsive to your emails. They typically open your emails and click on your links. These are the most engaged kind on your contacts.Once you identify these contacts, you need to tag them as “engaged” (or whatever name you like) and send them personalized emails. Contrary to the previous group, your unengaged subscribers would only cause trouble (e.g. incurring more costs and pulling down your numbers). The best way to deal with them is to tag them as unengaged and either try to re-engage them or delete them from your list.Look for the contacts who have not opened your emails in the last six months and tag them as “unengaged”. You might decide to re-engage them by sending them coupons, whitepapers, etc. 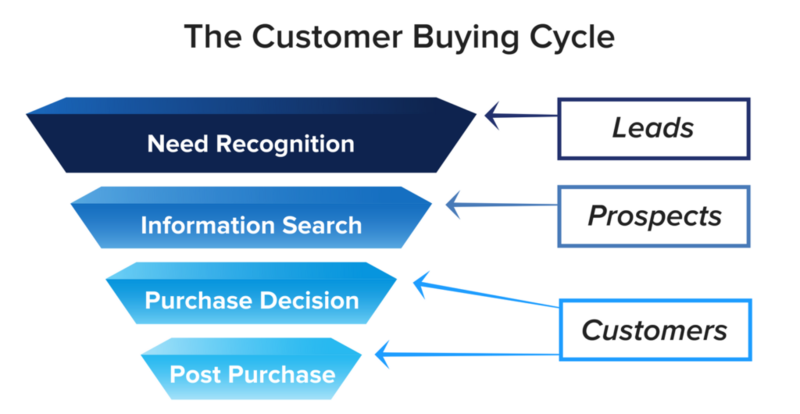 Turn your leads into customers by sending emails according to their position in the buying cycle. Your new subscribers are right at the top of the funnel. As they move in the funnel and enter different stages, you need different kinds of content to engage them. For example, your new subscribers might not yet be aware of your features and what problems you solve, so you might want to keep sending them emails about their pain-points (like the ones recommended above ). But once they start a free trial or download a white paper, you know it’s time to talk more about your features.Try to get your new subscribers to enter a new stage in the sales funnel by signing up on a landing page. Build landing pages with special offers CTA’s (such as free trials, whitepapers, webinars, etc.) and then tag the subscribers who sign up for these landing pages as in the second stage of your sales funnel. Send more technical information to these people and explain your features. Not everybody who subscribes to your list has the same goal. Even if all of them are aiming for the same results (say increase their email marketing ROI), they might have different experiences or might want to improve in a specific area. Some of our subscribers are looking for the ways to get higher open rates, others don’t know what to write in their emails, and some others are looking for ways to automate their email marketing. To provide personalized help for your subscribers, you need to tag them based on the topics they’re interested in. You can tag them when they’re signing up by providing some extra fields and asking them to choose their interest. Or you can send them a welcome email, embed some tagged links to different topics and ask your subscribers to click on whatever topic they’re interested in. Now based on the clicks, you can tag them as interested in a specific topic. How effective is email again? In fact, if an email is not your main marketing channel, then there is something wrong with your email marketing strategy. If you know what to write in your emails and how to segment your email list to increase relevance, you’ll see that email beats any other marketing channels. In fact, it is reported that for each $1 spent on email marketing, the ROI would be $40, more than any other marketing channel. It’s also important to note that if you’re driving good traffic from your list to your website and yet don’t have many conversions, you might need to see if your overall website design has issues. According to GoodFirms’s web design research, “if your conversion rate is low and bounce rate is high, be sure that you’re in sheer need of redesigning your website”. But generally, supposing that you’re doing everything right and have gained your email list’s trust, you’ll find great success. In this article, you read about the two factors that are the most important for success (i.e. knowing the market and frequently talking about the audience’s pain points, and sending relevant emails to the email list). Use the advice and you’ll live the email marketing dream no matter what niche you are in or what products you sell. Mostafa Dastras has written for some companies such as HubSpot, WordStream, SmartInsights, and MarketingProfs. What keeps him up at nights is how he can help his clients increase sales with top-tier content marketing. Visit his blog, LiveaBusinesslife, or connect with him on LinkedIn to get him to write for you.